Social media is the biggest battlefield of business competition in the new era. It has become an important ability for e-commerce marketers to make full use of social media to attract customers, increase exposure, and increase sales and conversion rate. Want to keep your social media posts consistent across all social media? Managing one platform is no longer easy, and managing three or four more is even more impossible. The good news is, it’s not that hard now. Using social media management tools can save you a lot of time, energy and money in the long run. If you want to start using social media management tools, or even upgrade your current tools, here’s a cheap (or even free) social media management tool that lets you easily manage your social media platform. Notice: This article focuses on crossing social media management tools, so I won’t introduce the tools aim at 1-2 social media are not collected in this list. Like TweetDeck (only for Twitter), Later (only for Instagram), and so on. Buffer is the first social media management tool I used. Although it may not be the best, it is a good tool for starters. Its operation interface is very simple. Large companies and organizations can choose from a variety of value-added services, but for small users, free plan can meet your social media management needs. Buffer’s free service includes the ability to manage up to 10 regular posts across 3 social media platforms. In addition to working on the site, you can arrange posts using browser plug-ins and mobile apps, and create and arrange content using Buffer’s image-making tools (Pablo) and GIF/ video uploaders. 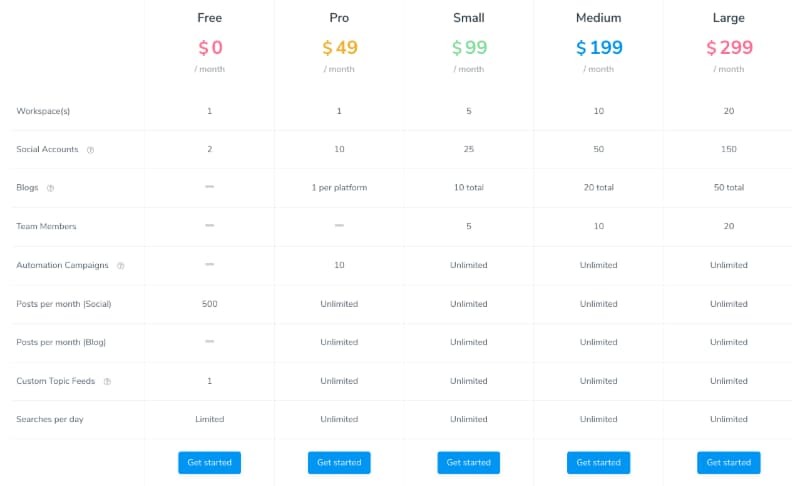 If you feel the free version is not enough, you can upgrade to a paid version every month. There are several options available at Buffer. Its analytics feature lets you know the impact of a post, the number of clicks, mentions, retweets and potential reach. With Buffer’s Chrome (Google browser) plugin, the tool makes it easy to arrange content while browsing the web. Based on your fan activity, Buffer suggests the best time to post. However, if you need to use features like short links and tracking, RSS feeds (premium content subscriptions), you’ll have to upgrade to a paid plan. 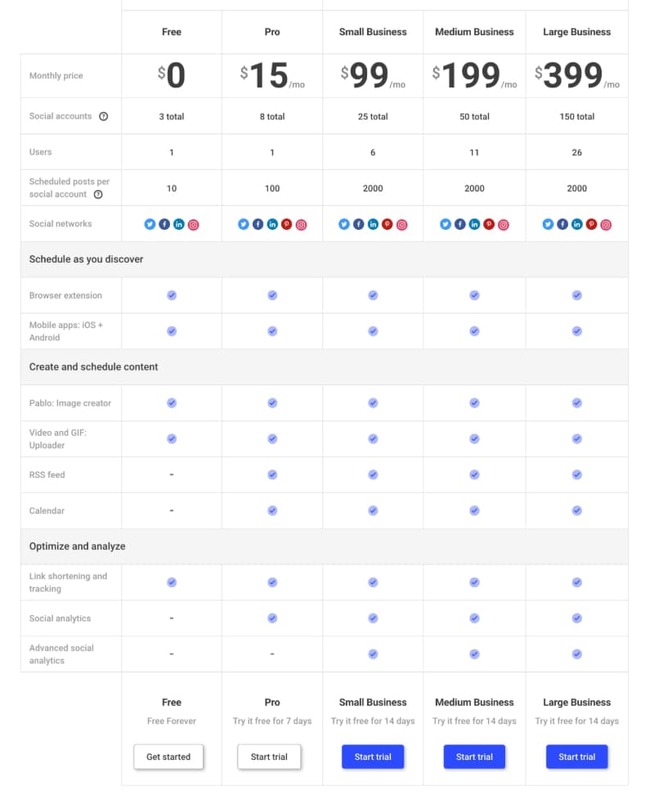 Buffer plans range from $10 to $399 per month. Hootsuite is probably the most popular social media management tool, with more than 800 of the fortune 1000 companies using it, it attracts more than 15 million users. It’s an integrated platform that allows you to schedule your content, track your ROI, run social media ads, monitor keywords, hashtags, and different regions to get a better sense of what’s going on in the market. Compared to Buffer’s simplicity, Hootsuite has more comprehensive functions. 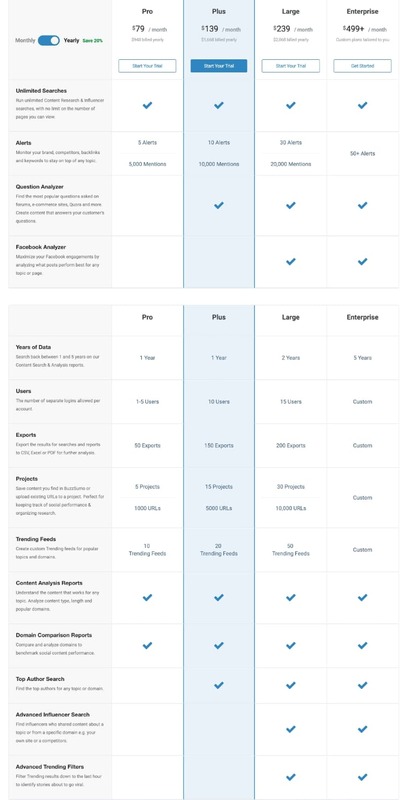 In addition to helping you schedule cross-platform posts, Hootsuite also provides comprehensive analysis reports and allows you to interact with fans within Hootsuite. 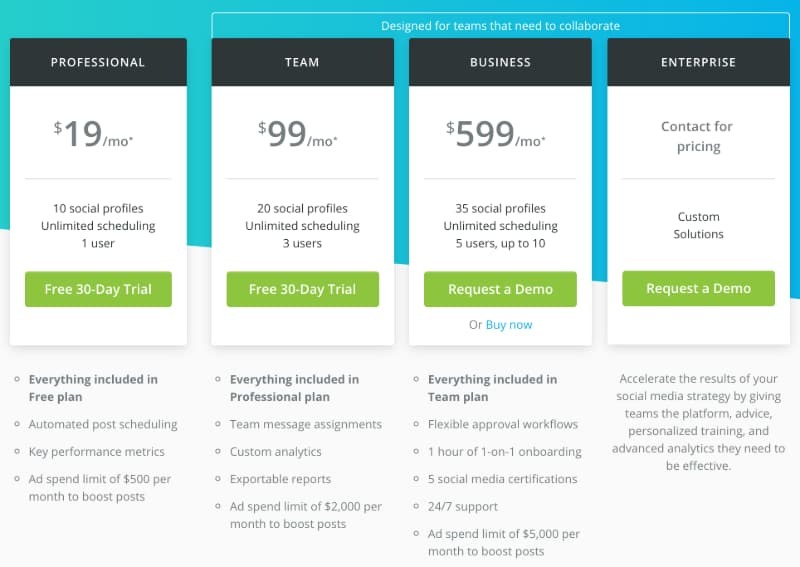 If you subscribe to Pro plan, you can also assign tasks to other team members within Hootsuite. The free plan also provides basic analytics on fan tracking, various growth changes, content data, and the integration of RSS feeds (premium content subscriptions). If you’re still struggling with increasing fan activity and wondering what social media means to your marketing strategy… The Post Planner might be able to help you. Post Planner can help you find the right content to engage your audience, plan posts, collaborate with team members, recommend “viral” images, search trends, popular gifs, and more. In addition to its free APP, Post Planner is offering a range of paid projects, ranging from $3 to $49 a month. 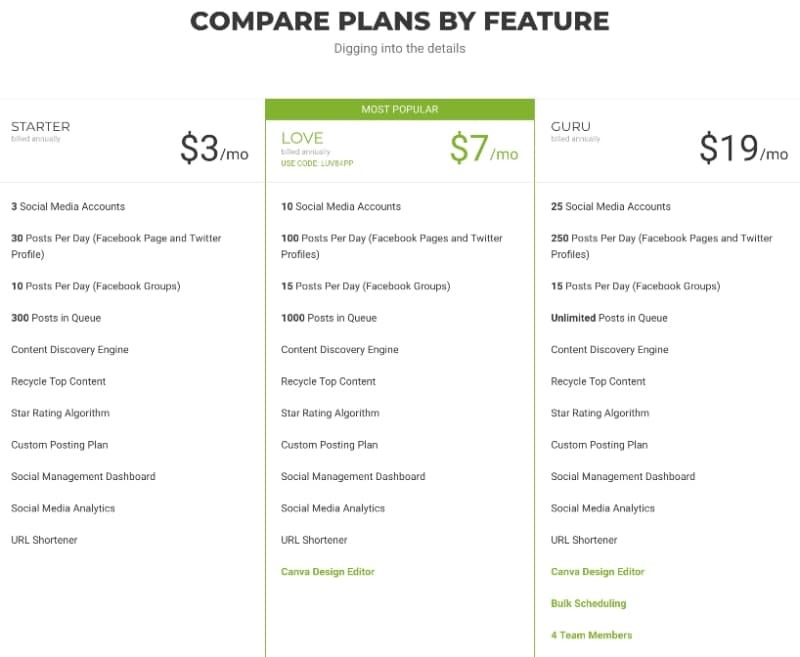 The Post Planner allows you to find, plan, and post interesting content on Facebook, Twitter and Instagram. Add your social accounts, subject tags, and keywords, and use the Post Planner to help you optimize. Thus, predictable, considerable and significant results can be achieved on social media. 1. Find the most appropriate content for your fans. Browse recommended profiles based on your industry and interests, and find new content in places like keywords, hashtags, Facebook pages, or tweets. 2. Make predictions based on historical data. Social media generates a large amount of data every day, and Post Planner’s algorithm analyze data from each content source in your data stream. Based on past performance, predict future behavior that will be relevant to your audience. 3. Create a plan for your web page and account, automatically detect popular posts, and then insert relevant content. Based on the Post Planner algorithm, it detects the best release time and adds it to the release plan. 4. Social media strategy. The Post planner will be able to make better decisions based on important data. Is your team managing social media accounts for different clients? Sendible is the right tool for you. 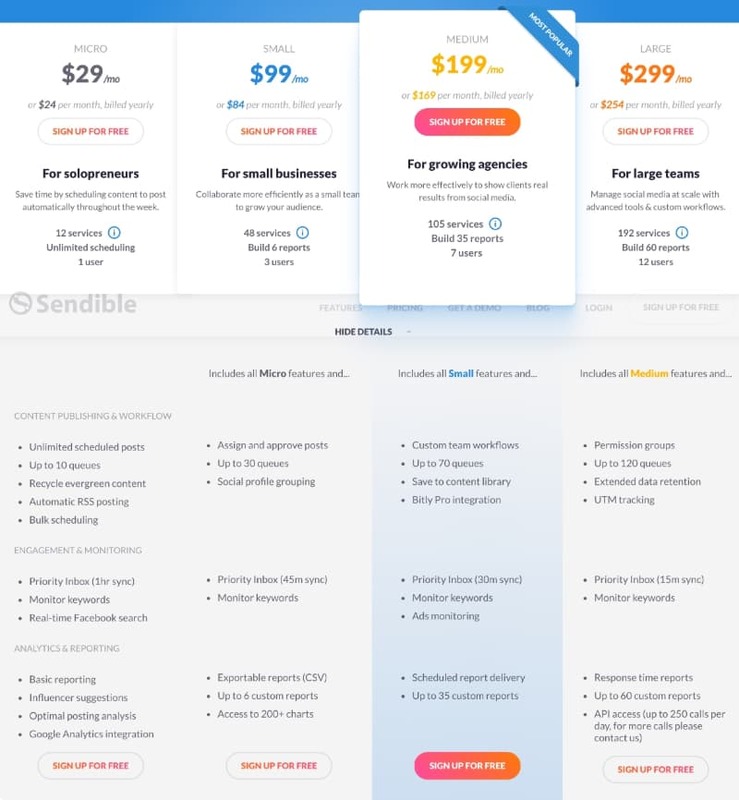 Sendible provides a separate inbox for each client, accessible to any member of the team, so communication is smooth. They also provide a content creation engine based on your attributes and fans, giving you lots of material suggestions. In addition, the calendar (scheduled delivery) is also very attractive. Sendible is ideal for those who want to leverage automation to manage different social media for multiple clients. Sendible specializes in scheduling, monitoring, analyzing, and increasing audience engagement for social media, as well as ensuring CRM functionality. One of the main advantages of the software is that it can put all your social media posts in one place and allow you to respond to them instantly. It allows companies to manage social media marketing more effectively and better understand their ROI. You can easily measure the effectiveness of your social media accounts and EDM campaigns. You can create social media reports for your customers in minutes using a pre-designed template. Their social media listening tools help you prioritize your responses to your audience. 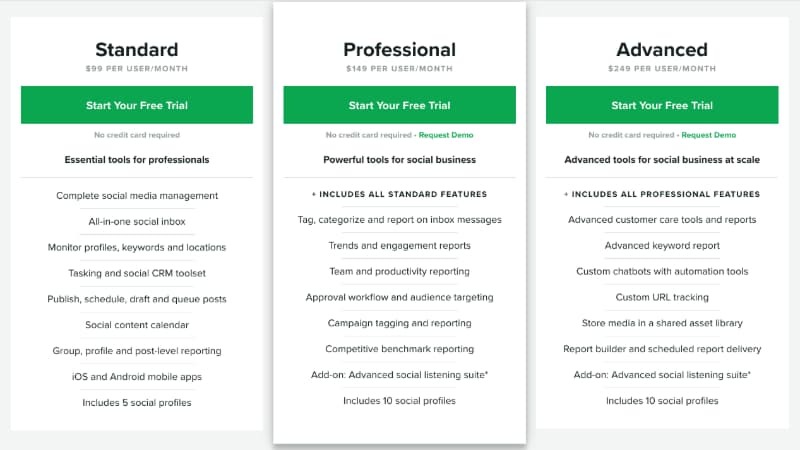 Similar to Hootsuite, Sprout Social is a social media dashboard where users can monitor and manage multiple social networks. The interface is clear and user-friendly, with six tabs: home, message, feed, publish, explore, and report. The tool connects users to Facebook, Google+, LinkedIn, and Twitter accounts. Sprout Social offers advice on how to follow or unfollow on social media, with plenty of scheduled posts. The tool is full-featured and expensive, making it ideal for businesses of a certain size, offering a 30-day free trial period after which it starts at $99 a month. Compared to the tools above, Content Studio is more than social media posts management and posting, its most outstanding feature is help you compose attractive content which attracts more followers to your social networks. It supports Facebook, Twitter, Pinterest, Instagram, LinkedIn, WordPress. All the content you compose can publish to these networks with only one button. For content curation, you can subscribe to specific domains, social sources, keywords. The content type includes articles, images and videos. Every time you visit Content Studio you can get fresh content focus on the topic you’re interested in. It even provides an advanced content editor, you can just drag content resources from discovery column to the editor. In addition, it provides SEO tips, hashtag suggestions, and image enhancer. Buzzsumo is a social media search engine and analytics tool that can help you deal with multiple aspects of your content marketing strategy. Buzzsumo collects the latest hot topics and relevant social celebrity information. You can also filter through and keep only the data of your direct competitors. Buzzsumo can help you plan content, find the best way to share it, find a social celebrity in a niche, and analyze your competitors’ content strategy. 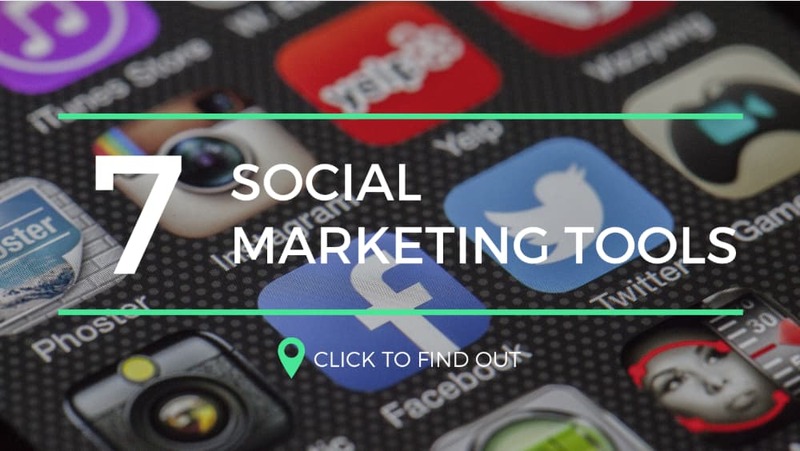 Every industry has the most active followers on social media, and your competitors are successfully using them for better marketing campaign, and you should also use these active users to help improve your social media marketing effect. You can find and convert these active users through BuzzSumo’s analysis tool, but this feature is only for paid users.